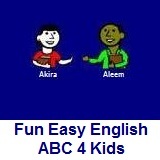 ﻿ Fun Easy English - new writing english alphabet for kids letter x. Hey kids, try writing the letter X. The xylophone is an interesting musical instrument. X-Men is a popular movie. An x-ray is a type of picture.